Microsoft (NASDAQ MSFT) stock has been making the news regularly as off late. The stock has been performing okayish and the analysts have rated the stock highly. With the release of Windows 10 coming up in June, we may well be seeing the stock rise to great levels. It really has been the change in leadership that has brought about such a quantum change in Microsoft. this leadership has in turn changed the emphasis to cloud and mobile segments. Here in this article, we will take a closer look at the Microsoft (NASDAQ MSFT) stock. It would be interesting to see how the stock might perform in the coming months. Cloud would be one area which would certainly interest us. We would also take a quick peek at Windows 10 operating system. Microsoft under Satya Nadella has taken a new leash to life. Under Nadella, there has been a renewed focus on the cloud and mobile segments of the market. Under heavy competition from Amazon and Google, Microsoft have built a good segment under the Azure division. Microsoft also has its own traditional server which gives it the edge as compared to the likes of Amazon and Google. This model is called a hybrid cloud model. 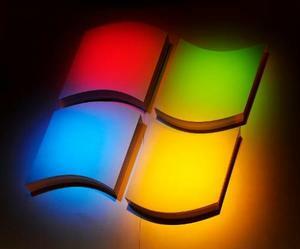 Microsoft is also looking to launch its much awaited Windows 10 operating system. The new operating system would be the last in its line and has some very cool features which include the start menu option and cortuna. The said OS is to be launched sometime in June. Microsoft (NASDAQ MSFT) stock has not been a world beater by any stretch of the imagination. But it remains a good buy. The stock is currently trading at around the levels of $47. By the looks of it, the stock should see better times in the coming months.